The Rotary Foundation transforms our giving into projects that change lives both close to home and around the world. For several years now we have been giving $100 per member each year. As the charitable arm of Rotary, we tap into a global network of Rotarians who invest their time, money, and expertise into priorities, such as eradicating polio and promoting peace. Foundation grants empower Rotarians to approach challenges such as poverty, illiteracy, and malnutrition with sustainable solutions that leave a lasting impact. District grants fund smaller, short-term activities that address needs in your community and communities worldwide. Each Rotary district gets to choose which projects it will fund with these grants. Our club is using a District Grant to help fund work we, as a club, is doing with The Ghurka Welfare Trust. Global grants support large international activities that have sustainable, measurable outcomes in one or more of our areas of focus. Rotarians create their own projects and carry them out. The Rotary Polio Plus initiative started in 1985: by 1988 it became the Global Polio Eradication Programme involving Rotary, Bill Gates, W.H.O, UNICEF, US Centers For Disease Control and Governments. Together we have immunized 2.5 billion children and reduced new cases from 350,000 p.a. to 250. There are 3 endemic countries left (99% reduction) but a 2013-18 end-game estimated cost of $5.5 billion of which $4 billion is already committed. 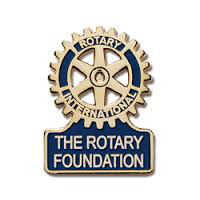 Rotary Foundation has promised $70m p.a. Gates Foundation has promised $2 for every $1 Rotary raises. 119,351 others have signed up to help. This is the biggest campaign since smallpox elimination. We are so close to the eradication of polio disease and changing the face of public health forever.